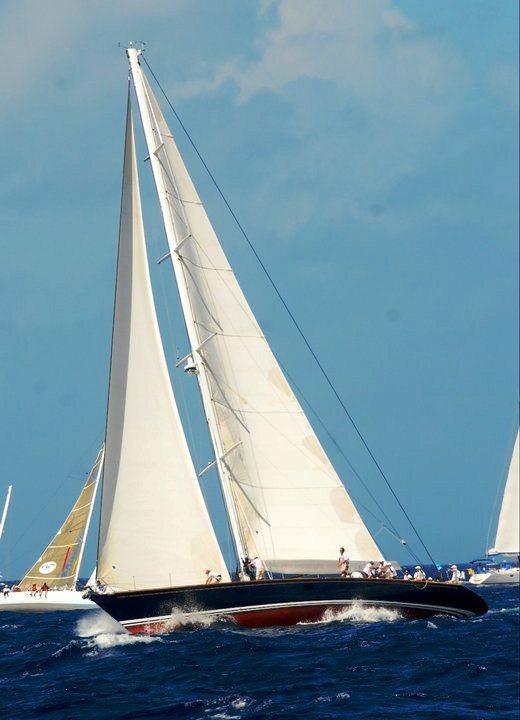 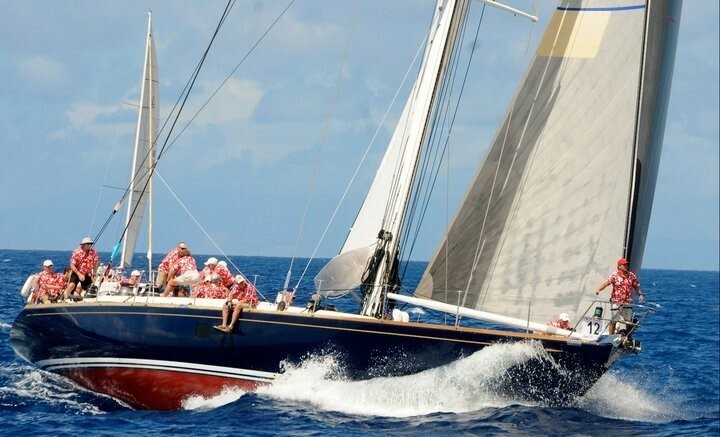 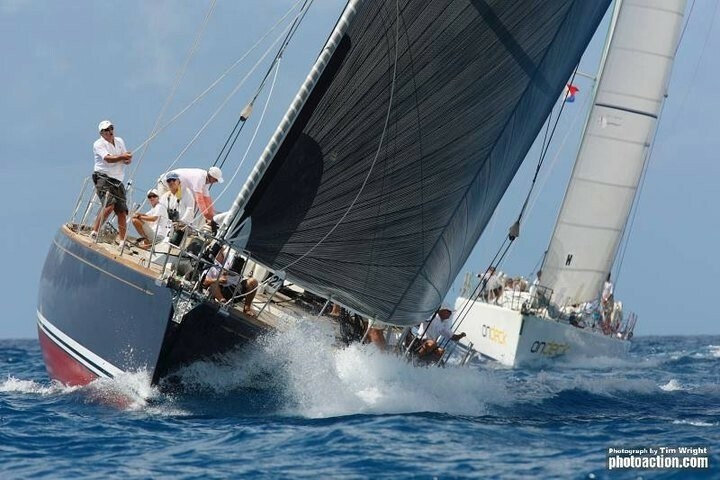 Sailing yacht LA FORZA DEL DESTINO is a Swan 77 yacht built by Nautor's Swan in 1992, and refitted in 2010. Measuring 24,38m (80’) in length, charter yacht LA FORZA DEL DESTINO is a beautiful example of the Swan 77 sailing yacht. 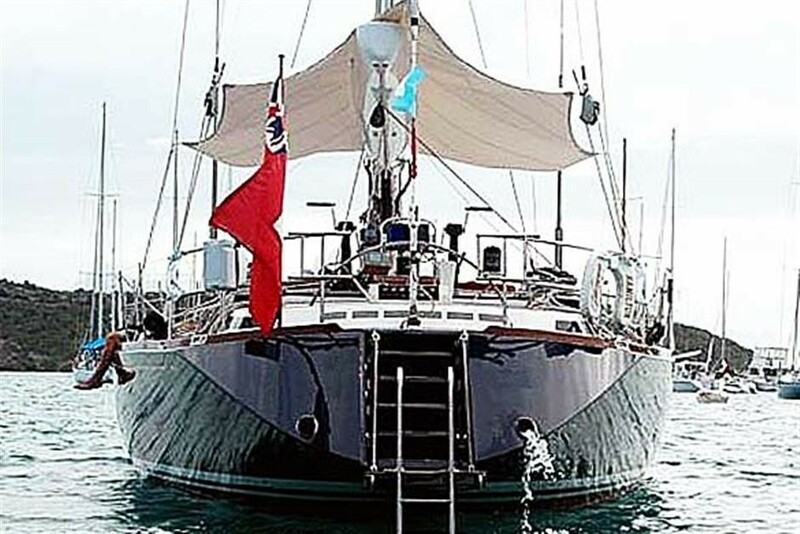 Not only does S/Y LA FORZA DEL DESTINO provide excellent sailing performance, she also has a massive interior volume for a yacht of her size thanks to her 20 ft beam. 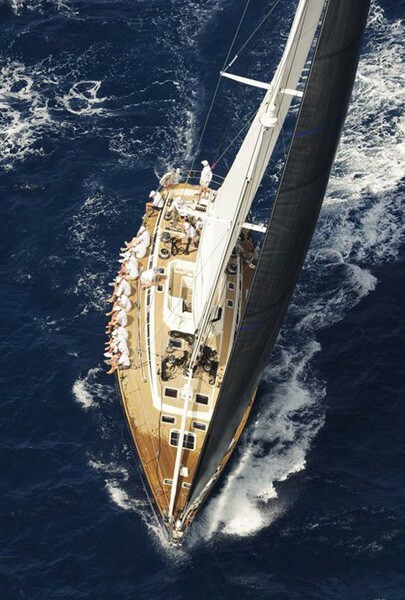 LA FORZA DEL DESTINO is Italian for ‘The Force of Destiny’. 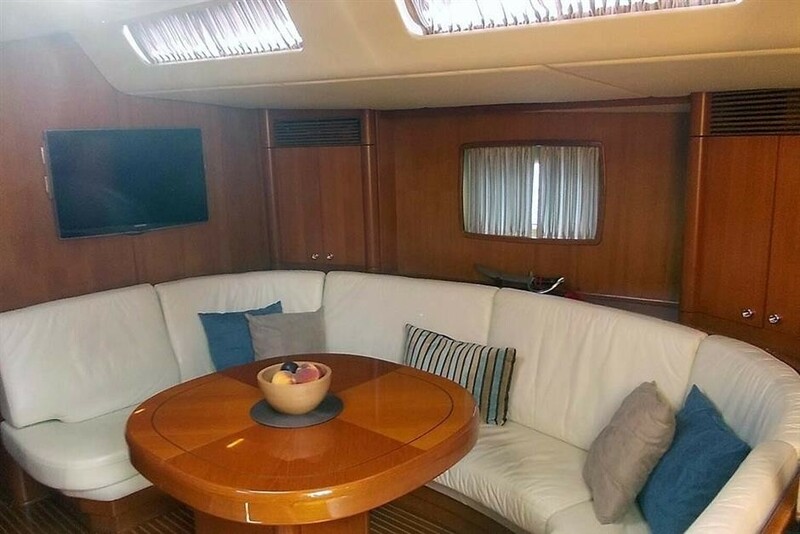 She was last refitted in 2010 which included the additions of a new carbon fibre spar and boom, new teak decks, cabin soles and interior soft goods. 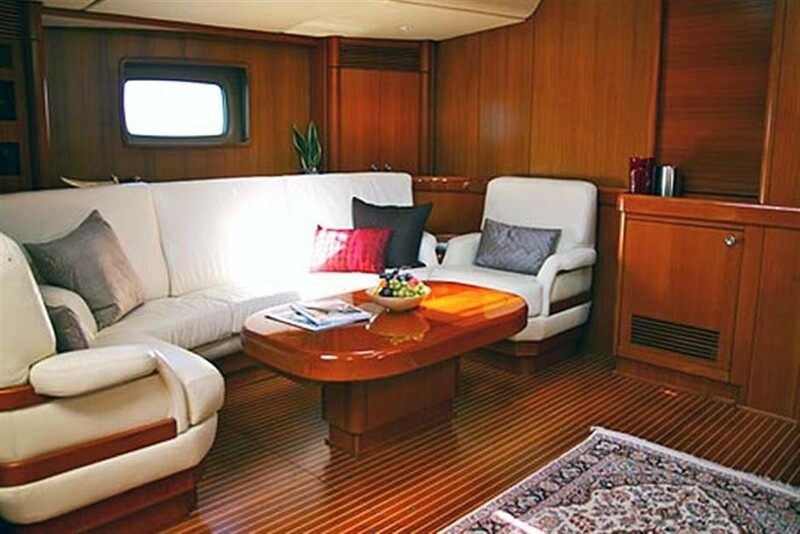 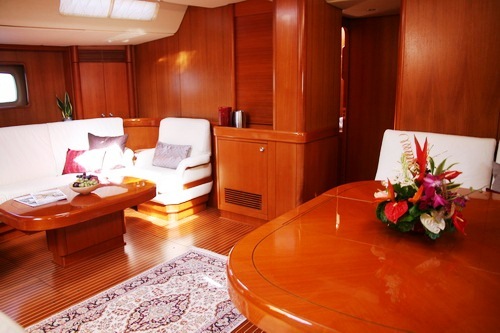 The charter yacht LA FORZA DEL DESTINO has a spacious and bright salon with a U shaped seating area to starboard and a U shaped dining area to port. 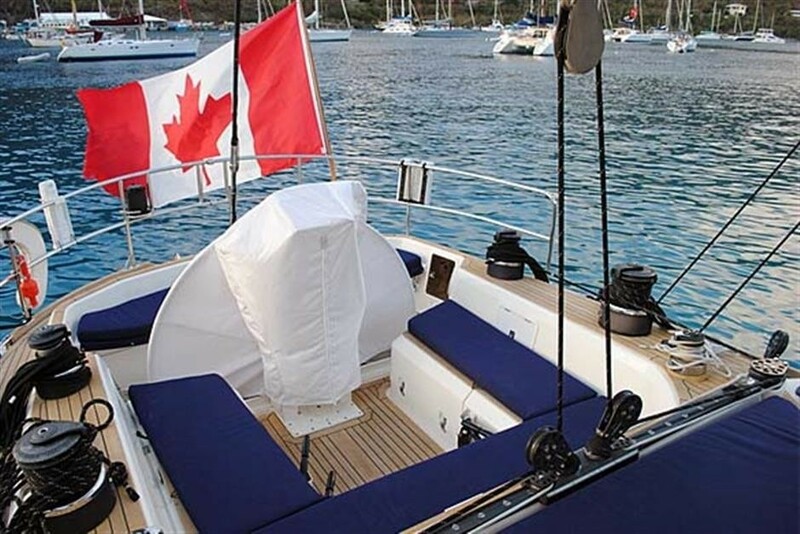 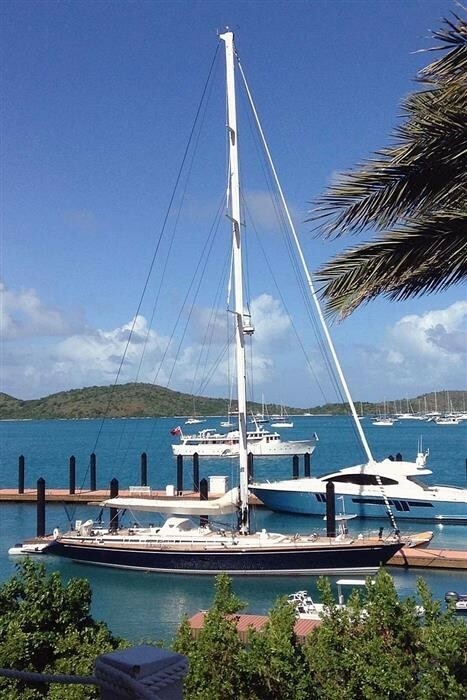 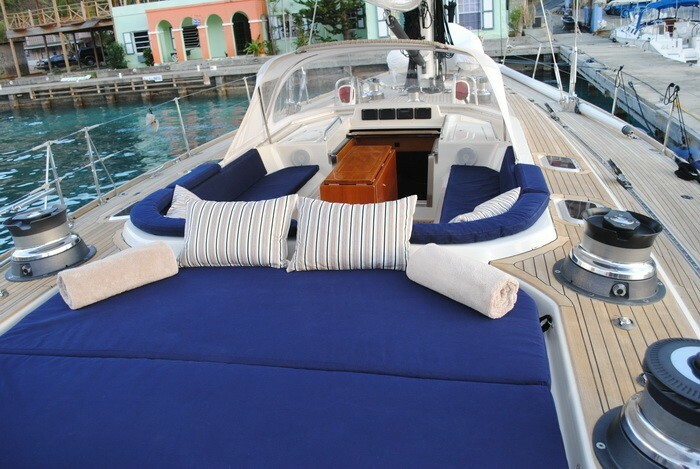 Her exterior cockpit is the perfect spot to relax while sailing between the Caribbean islands and the collapsible table can also be set up for al fresco meals while at anchor. 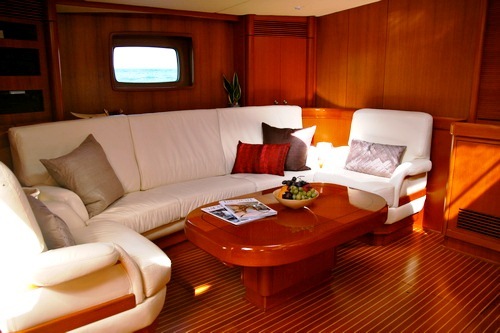 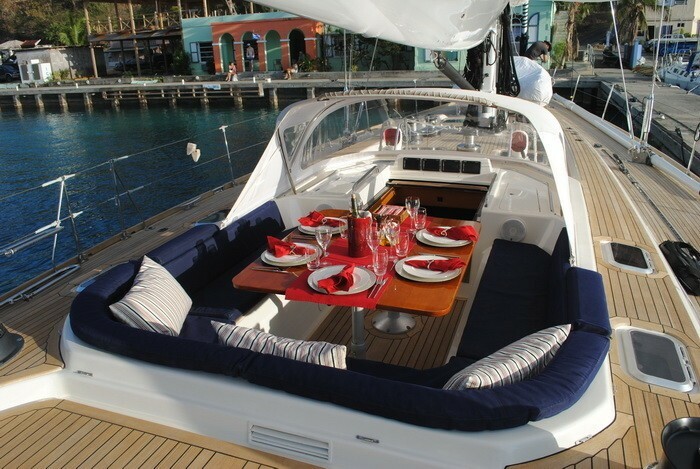 A Large sunpad aft of the cockpit is a favourite spot to soak up the sun or enjoy a cocktail. 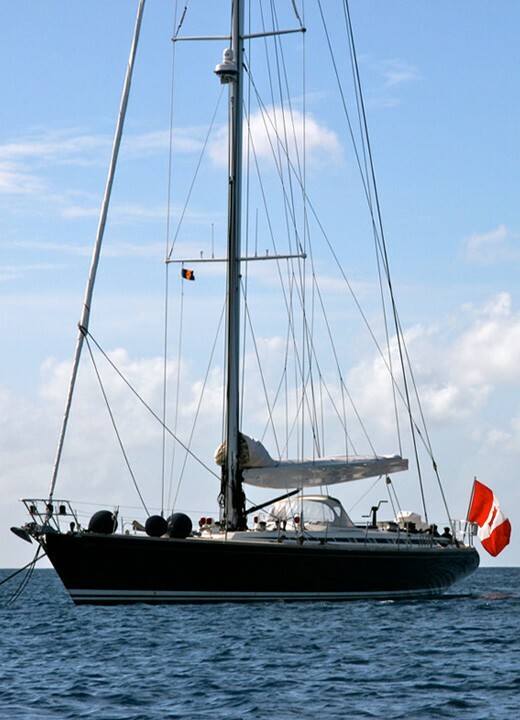 LA FORZA DEL DESTINO sailing yacht is able to accommodate up to 6 guests in 3 cabins and has a great layout for both couples and families. 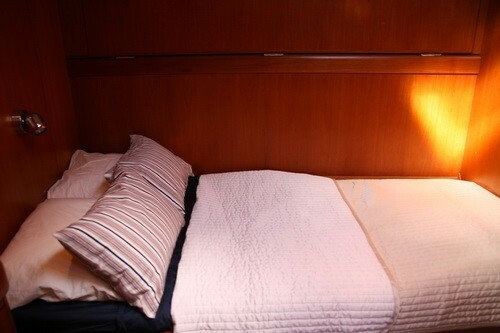 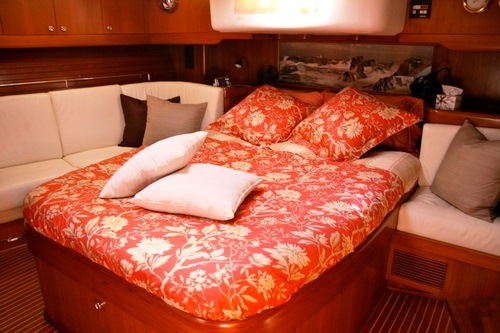 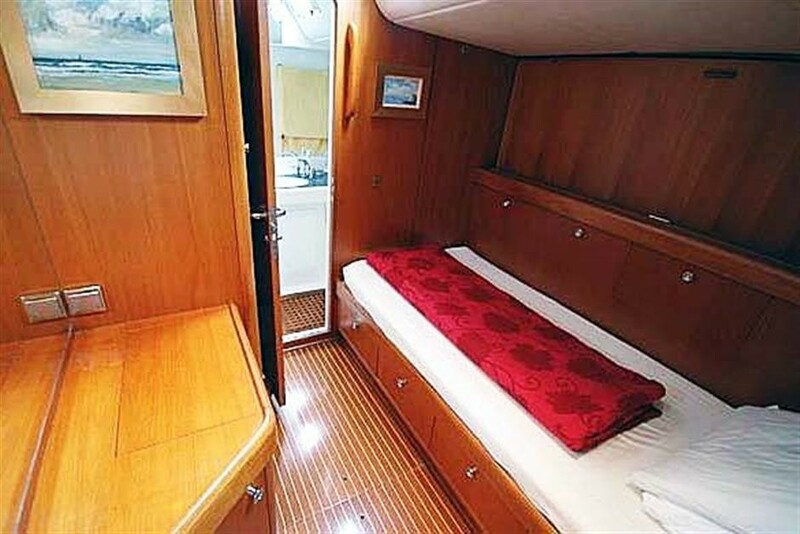 Her full-width owner’s stateroom has a Queen-size walk around bed and settee's to both port and starboard. 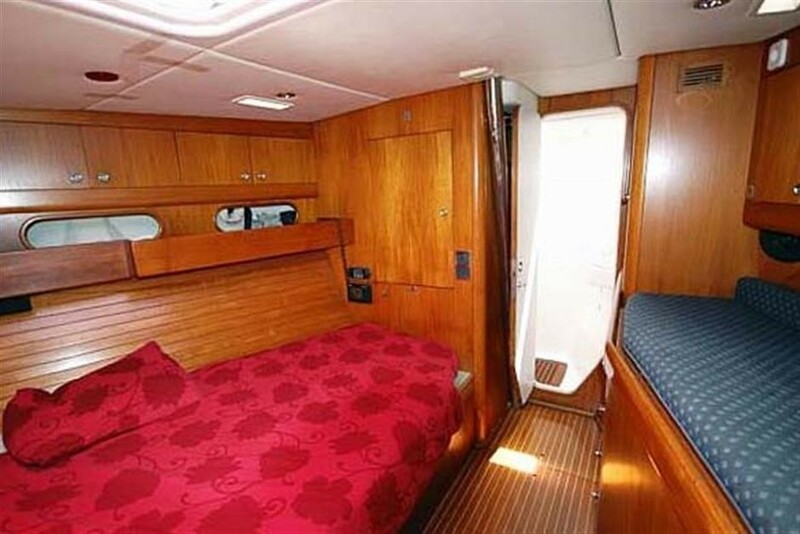 The master cabin also has a very large ensuite with walk-in shower. 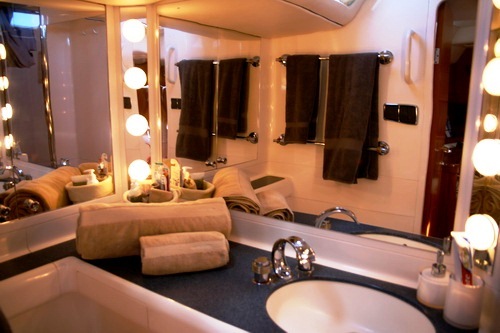 There are two port-side double cabins with single berth uppers and ensuite facilities that include walk-in showers. 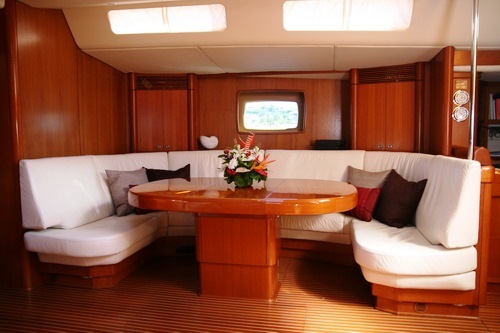 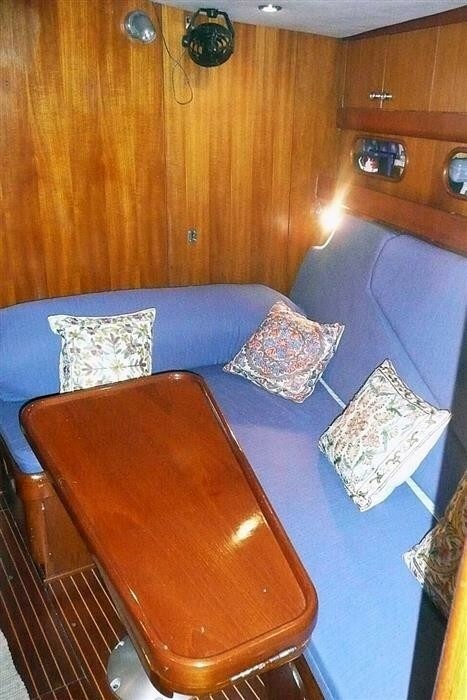 S/Y LA FORZA DEL DESTINO is fully air conditioned throughout. 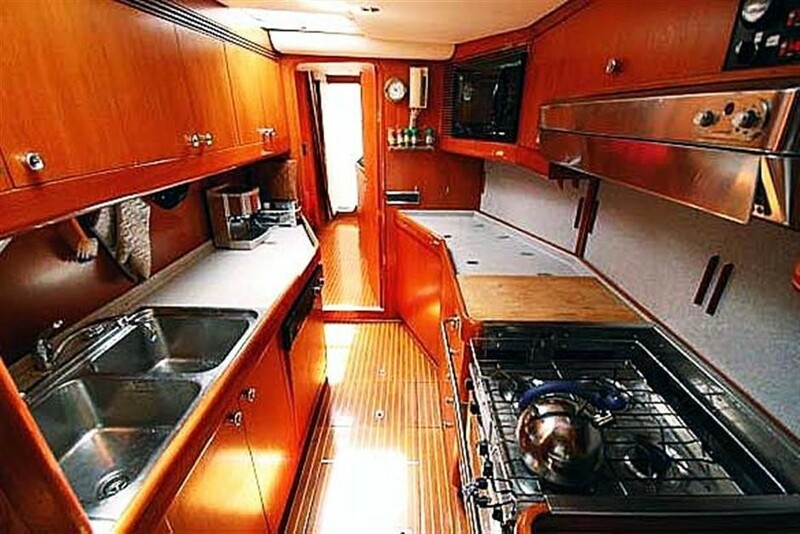 Her crew of 3 have a separate head and shower. 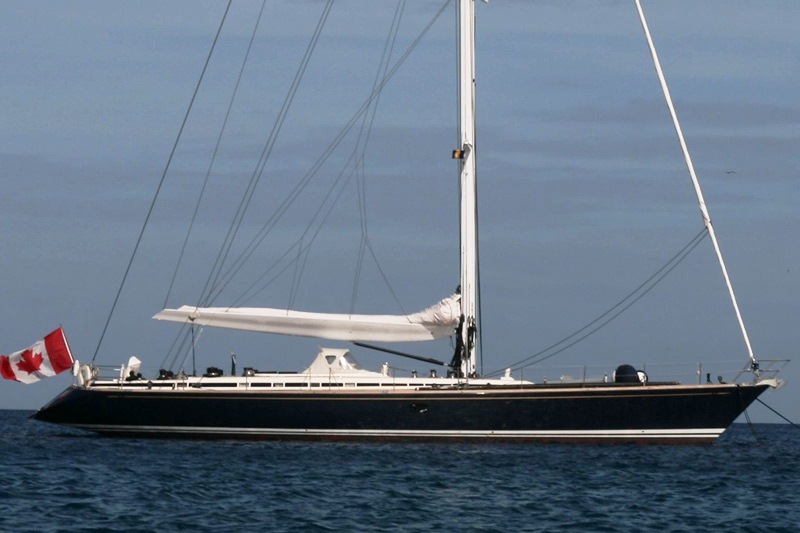 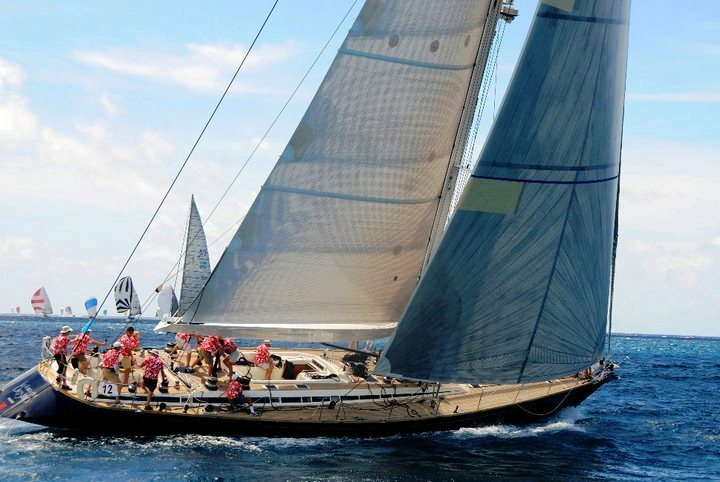 The Swan 77 sailing yacht LA FORZA DEL DESTINO can accommodate up to 6 guests in 3 cabins. 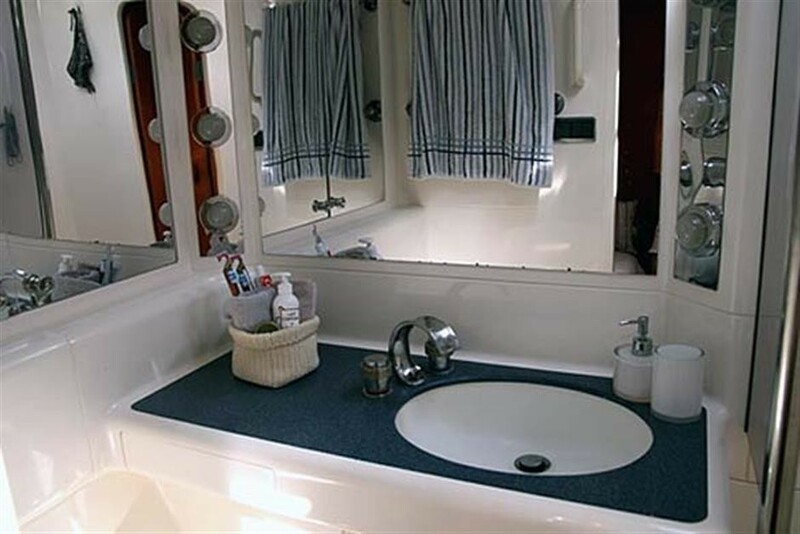 In addition to the full width Master Cabin located aft there are 2 guest cabins with ensuite heads. 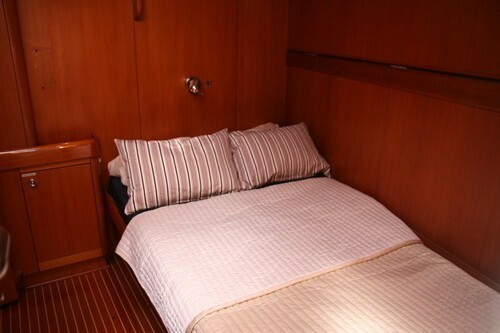 The Master Stateroom and the 2 port-side guest cabins have walk-in showers.